I have a waffle confessions. I rarely ever make waffles. To me they are just too similar to pancakes and for some reason I think pancakes are a thousand times easier to make. I hate cleaning waffle irons. But after having a square waffle iron that rarely got used in the 12 years we owned it, I bought a cirlcle waffle iron last year. I have Random Thoughts of a SUPERMOM to blame. 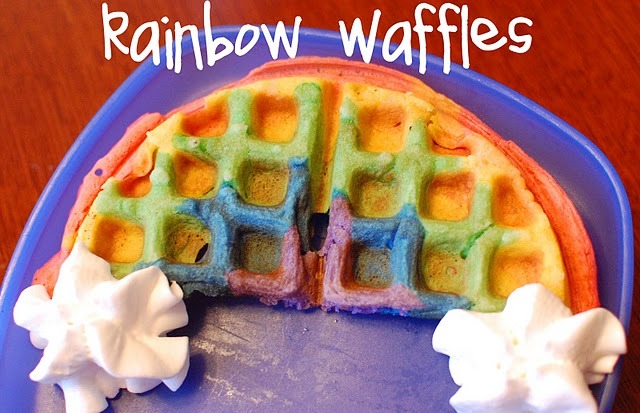 I couldn't resist the rainbow waffles. And now, with the introduction of candy corn waffles, I am so glad I have a circle waffle iron. You can check out the recipe for candy corn waffles HERE. 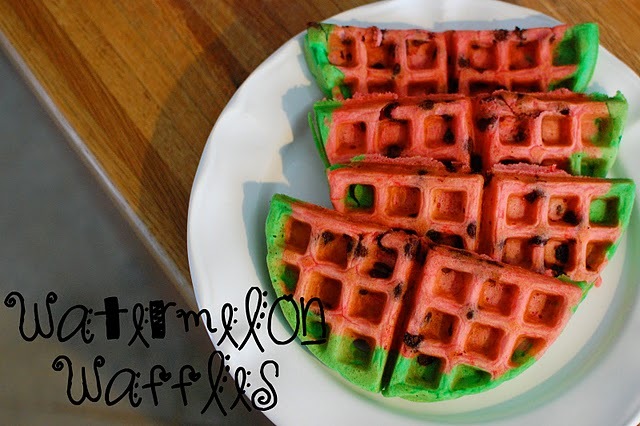 I like waffles because I'm not a very good pancake flipper...they always end up going crazy and landing on each other:) Thanks for posting about all my fun waffles Lorie!